Celebrating the life of Lawrence E. Lewis, Sr.
Obituary for Lawrence E. Lewis, Sr.
Lawrence Edward Lewis was born May 2, 1923 in Coles Chapel Community in Adamson, Oklahoma. He was the ninth of twelve children born to John Ellis and Modessa Wright Lewis. Lawrence went to high school at Phyllis Wheatley High School from grades 9 to 11. Because the school district did not provide transportation, Lawrence and two other students walked 6 miles each way to school. Phyllis Wheatley did not have enough students to offer 12th grade, so Lawrence completed his senior year at L’ Overture High School in McAlester, Oklahoma. After high school, Lawrence was drafted into the U.S. Army. He served from 1943 – 1946 in the European Theater. Lawrence fought in Normandy, Northern France, Rhineland and Central Europe. During his service, he received the American Theater Campaign Medal with four Bronze Stars, Good Conduct Medal and the World War II Victory Medal. At the end of his tour, he was awarded an honorable discharge as Staff Sergeant in the 659th Tank Destroyer Battalion. Lawrence enrolled at Langston University where he received a Bachelor of Science degree in Vocational Agriculture and Science. After college, he worked as a Science teacher, coach and Assistant Principal in the Hartshorne, Oklahoma school system. Lawrence continued his education as East Central State College. 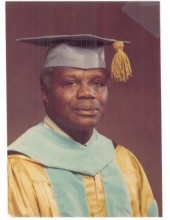 In the first Graduate Degree program at Central State, Lawrence and four other African Americans completed work for Master’s Degrees, becoming the first African Americans to be so awarded in the history of the school. In 1955, after obtaining his Master’s Degree in Education, Lawrence married Palecia Franklin, who also was an educator and coach. Together, they were the parents of: Muriel (Rev. Dr. William) Watley, Karen Palmer, Barbara Simmons, Lawrence E. Lewis, Jr., Donald Ray Lewis, Camellia R. Lewis, Pamela (Eduardo) Ashby, and Paul (Alana) Lewis. Lawrence moved to Denver in 1957 to find work. The family later joined him in Denver and became members of New Hope Baptist Church, under the leadership of Rev. M.C. Williams. He was active in numerous ministries, but it was the educator in him that drove his engaging spirit and active participation in Sunday school. He exceled as an educator and took the Civil Service Exam for a position of Principal and scored second highest in a group of 60-80 contenders. In 1960, two years after becoming employed by the Colorado State School System- Lawrence became the first Black principal at an integrated Girls School with the State Division of Youth Services. Lawrence received his Doctorate in Education in 1980; and in 1988, after more than 30 years as an educator, retired with distinguished honors from the State of Colorado Division of Youth Services. Throughout his adult life, Lawrence was active in serving mankind. He was a life member of the N.A.A.C.P and held various leadership positions such as Regional Chairman which included: Colorado, Kansas, Wyoming, Montana, North and South Dakota, Nebraska, Iowa, Missouri and Minnesota. His focus, at the time, was on employment, education and housing. He also served as President of the Mile High Chapter where in 1971, he worked with then Mayor Bill McNichols and two other NAACP Officials to have the City of Denver issue a proclamation making November 14 – 20 NAACP week; one of the first such event in Denver. As a member of Omega Psi Phi Fraternity - Chi Phi Chapter, he lived a life based on the Cardinal Principles: Manhood, Scholarship, Perseverance and Uplift. Lawrence, was a member of Phi Beta Kappa Academic Honor Society; The National and State Democratic Party and Park Hill Neighborhood Association. He continued that commitment during his years of retirement; staying active in community service with The Greater Park Hill Sertoma Club from 1990 - until his death; and held official positions of chairman of the board and president. He leaves his beloved wife of 63 years, Pal, along with seven children: Muriel (Rev. Dr. William) Watley, Karen Palmer, Barbara Simmons, Camellia Lewis, Pamela (Eduardo) Ashby, and Paul (Alana) Lewis; Fourteen grandchildren: Rev. Jennifer (Rev. Charles) Maxell, Rev. Matthew (Shawna) Watley, Rev. Carlton Gibson, Sharee Hamlin, Ronnie Palmer, Corey Simmons, Kevin Simmons, Michael Owens, Kierston Couttee, Tiffani Couttee, Min. Janay Lewis, Kyle (Alyson) Lewis, Tyler Hayes, and, Noah Hayes; over 12 great grandchildren; and 1 great, great grandson. To send flowers or a remembrance gift to the family of Lawrence E. Lewis, Sr., please visit our Tribute Store. "Email Address" would like to share the life celebration of Lawrence E. Lewis, Sr.. Click on the "link" to go to share a favorite memory or leave a condolence message for the family.